Being eco-friendly sounds good, but it’s hard to know what to do when you’re starting from scratch. However, it’s important to remember that reducing your carbon footprint is a lot like changing your diet; it’s better to make small, permanent steps. Which is why these life hacks are so helpful, brought to you courtesy of RohTopia, and Eluxe Magazine. We all want our drinks nice and frosty, but there’s a quick, low-energy way to get them there. Simply take the can or bottle you want to drink, and wrap it in a damp paper towel. Put it in the fridge, and wait. The dampness will absorb more of the fridge’s chill, and keep your drinks cool longer, with less energy. Remember that old volcano demonstration you saw in middle school? It’s just baking soda and vinegar, but it can blast clogs out of your drain. You simply run a little hot water, and pour in some baking soda. Once the soda sinks to the bottom, pour in the vinegar. The reaction these chemicals have forces the blockage out of the way, clearing the pipe. It’s not a replacement for a plumber, but it can save you the need to call one in many cases. If you want to keep your phone running as long as possible, and charge it faster, put it into airplane mode. It shuts down unnecessary functions, and keeps you using only the bare bones. It can save you a lot of time, and even power, throughout the life of your phone. 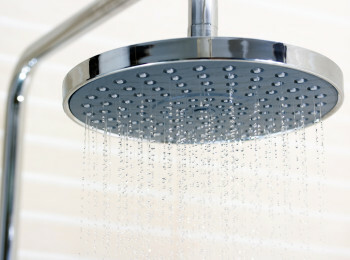 If your showerhead is getting clogged, don’t spray a bunch of harsh chemicals on it. Pour some vinegar into a plastic bag, and tie the bag around the showerhead. Leave it overnight, and it will gleam like new in the morning. While toilet paper and paper towel rolls are made of cardboard, and thus easy to recycle, you can use them to straighten up your place, too. They make ideal holders for cables, and they can stop you from accidentally creating a tangled mess of your cords both at home, and on the road. Your cables will live longer, and your home will be neater. When the rolls eventually do break, just recycle them and replace them with new ones! For more great, green life hacks for your home, simply contact us today!